DataLog – the database for managing and analyzing comparable sales. ClickForms – the appraisal report generator that features the Uniform Agricultural Appraisal Report (UAAR®) and the Uniform Country Residential Report (UCRR®) formats, narrative-style word processing, and more than 300 forms. 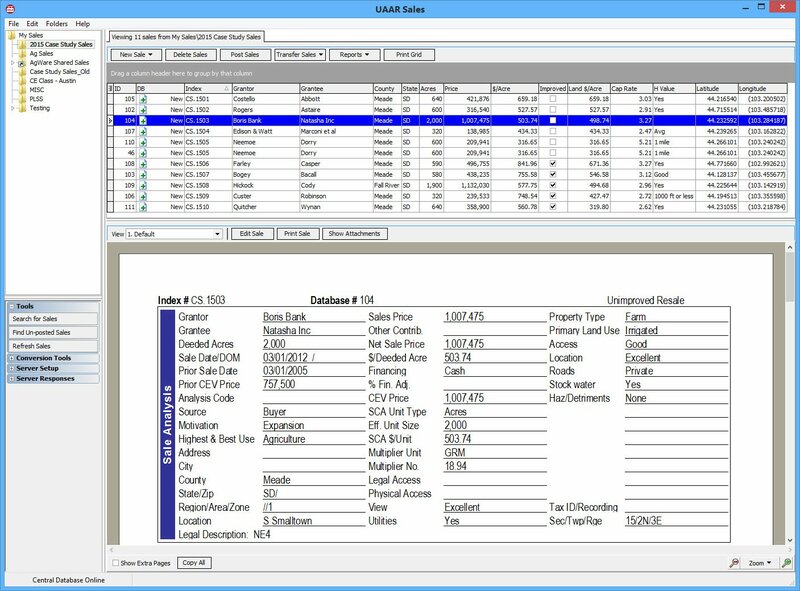 DataLog is a database for storing and managing comparable sales that can be transferred into any of the AgWare ClickForms report formats. Several tools for analyzing sales data are available. A DataLog window is seen in the image below. A standardized sale sheet is composed of several sections. Sale data need be entered only once in DataLog. Use data from unimproved sales to estimate residual value for buildings. Up to 20 improvements can be expanded separately and analyzed for depreciation. Document the time trend analysis of sales with prior transfers by using the time adjustment tool. Create individual photo and detailed exhibit pages (sample seen below) that with the sale into a report. Sort and filter sales using the customizable sales grid. DataLog will store all information necessary to perform an analysis for each sale. Digital images, scanned documents, maps, and other items can be attached to a sale and transferred into an AgWare ClickForms report. Use folders to organize sales into groups and sub-groups as you prefer. Sales can be moved between folders with simple drag/drop or copy/paste. Drag sales directly from DataLog into your Outlook e-mail message. Conversely, drag attached sales from an e-mail message into the DataLog grid. An optional Dropbox link is also available. Rather than guess which criteria are needed for a report, use the search screen. Custom filters can be applied as desired. Raw data charts and a variety of graphs can help identify outliers at a glance. ClickForms is the report-generating piece of the AgWare package. 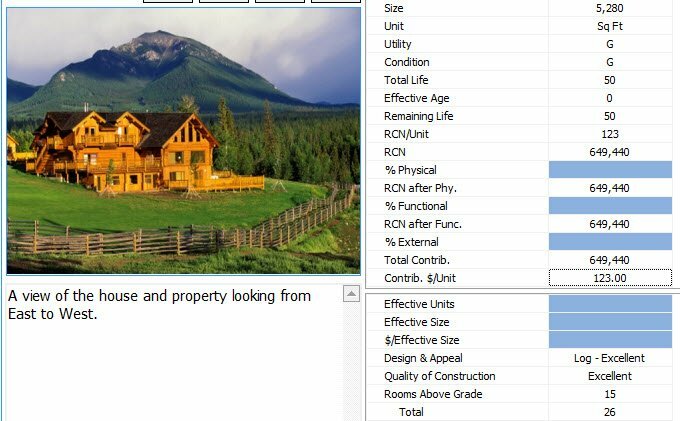 Appraisers can choose from default report templates or create their own. Comparable sales transfer from DataLog into a report with as few as two clicks. A sample report window is seen below. Total flexibility with report design. Customizable response and comment lists. Import PDFs, exhibits and images. Save subject data as a comparable.